The word “fail” relates to a mishap, lack of success, etc. The Internet loves failures and they quickly go viral among users. 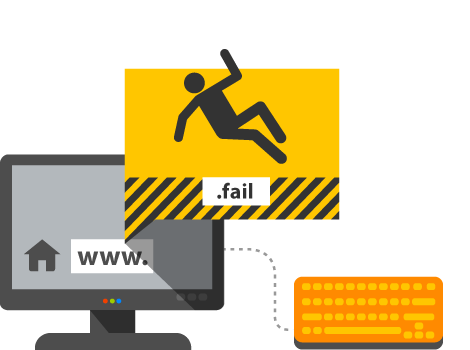 The .fail domain may be used for sites publishing photos, videos, news or stories for such events, whether for fun or for reviews of failed business ventures in order to share experience. If you are looking for traffic for your viral news and materials that you publish on your site, the .fail domain is perfect for you. Register yours now!